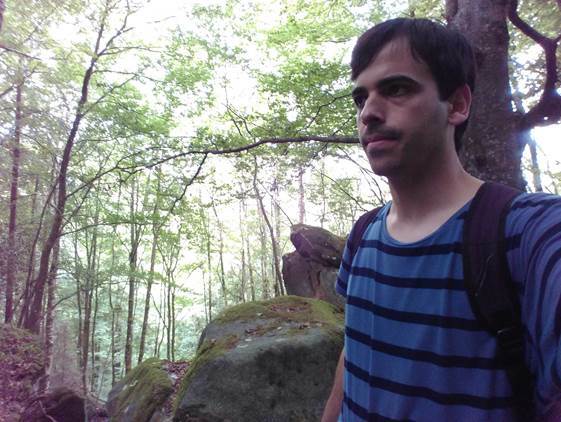 Juan Jesús Rodán Gómez (Almería, 1988) is a PhD student of the Centre for Automation and Robotics and Airbus Defence and Space in the SAVIER (Situational Awareness VIrtual EnviRonment) project. He studied Bsc+MSc. in Industrial Engineering with specialization in Automation and Electronics and MSc. in Automation and Robotics in the Technical University of Madrid (UPM). During the last five years, he has researched about security systems for aerial robots, surveillance with teams of ground robots and application of robots to agriculture. Currently, he is interested in multi-robot adaptive and immersive interfaces and robot swarms for monitoring cities, as well as in data mining and machine learning techniques.